Good Morning! I’d like to welcome you to this year’s conference, which is titled, Embracing the Art of ELA through Reflective Practice. Every year, our executive board members spend three days in July (at past president Beth Carlson’s beautiful camp on Deer Isle-- it’s really a fabulous perk of being a member) planning our vision for the following school year. In the past, we’ve focused our discussions on best practices, standards, and common assessment. But this year, what came up throughout the first evening’s discussion was that this push, this drive toward standards based learning and proficiency based diplomas had left many of us (and surely some of our students) exhausted and maybe even a little deflated. We talked about what’s happening in our class rooms and how some of that excitement and engagement has dissipated as we march through the standards. As a result, we hope that today you spend some time basking in the glory of the art of teaching and reflecting on your passion. I hope that today something sparks for you and you can share more of the passion, love, and art with your students. I’d like to take a moment to thank our executive board members (please stand) for their work not only to plan this conference, but for their dedication to professional development and teacher leadership. Our organization’s leadership is comprised of full time and retired teachers, both at the high school and college levels. We are a passionate group of educators dedicated to professionalism, learning, and supporting the work of Maine teachers. We could not succeed without the support of these volunteers, and I am honored to call these teachers not only my colleagues, but also my friends. MCELA is constantly looking to expand our reach, but in order to do so, we need your insight and support.  By attending the conference today, you are a member of MCELA. And, I encourage you today to think about the work that’s being done here, and how you could help. Every year, we host this annual conference where teachers from around the state share their best practices in engaging workshops. Could that be you? We organize afternoon dine and discuss events where teachers support each other working on a specific area of teaching, like creating inquiry-based units that blend fiction and nonfiction. We have committees dedicated to: organizing the conference; drafting statements in responses to Maine legislation that affects schools, teachers, and students; and providing feedback on drafts of teacher-crafted reflections about our work as professionals. But of course, we want to do more. In April, we’ll be hosting regional “meet and greet” sessions to talk to you about how you can get involved as a teacher leader. In May, we’d like to invite you to our executive board meeting when we discuss our progress this year and our goals for how to better serve our members and teachers across the state. If you like what you see today and if you’re ready to step into a teacher leadership role, on your feedback form, you’ll see there’s a space at the bottom to add your name and contact information. If you want to learn more about what we do, please come speak to me or any of our other board members during the conference today. We’d love to meet you. When you checked in today, you received a little MCELA swag. Inside the mug, you’ll find a pen, a magnet, and your MCELA membership card. On the back of that card, you’ll see a member access code. That code will be valid from now until next year’s conference. On this page, you’ll find digital resources from today’s presentations. If you can’t make it to a session that you’re interested in, this is a great way to check out some information from the presenter. If you’re a presenter and you’d like your resources to be added to this page, send them along to me and we’ll get them on the website. You’ll find in your folder a copy of today’s schedule and workshop descriptions, a map of the building, and a few other resources I’d like to mention. First, you’ll see there’s a description of a new MCELA award, and you’ll hear more about that before our speaker during lunch today. You’ll also see a letter from the English department at the University of Maine. Could I get a quick show of hands: how many people in this room attended classes at UMaine with either Harvey Kail or Pat Burnes? Harvey and Pat are both retiring this year, and in their honor, UMaine is creating a fund to support professional development. Individuals can donate through the link listed on the letter. And in addition, we’re going to take a quick vote and make an MCELA decision about donation. Because Pat and Harvey are both near and dear to our hearts, the Executive Board is considering donating one dollar from each registration to the Burnes-Kail Fund. Since you’re officially a member by being here, we’re going to take a quick vote. I hope, through today’s conference and workshops, you are able to network, engage in learning, and reflect on your teaching and your students.